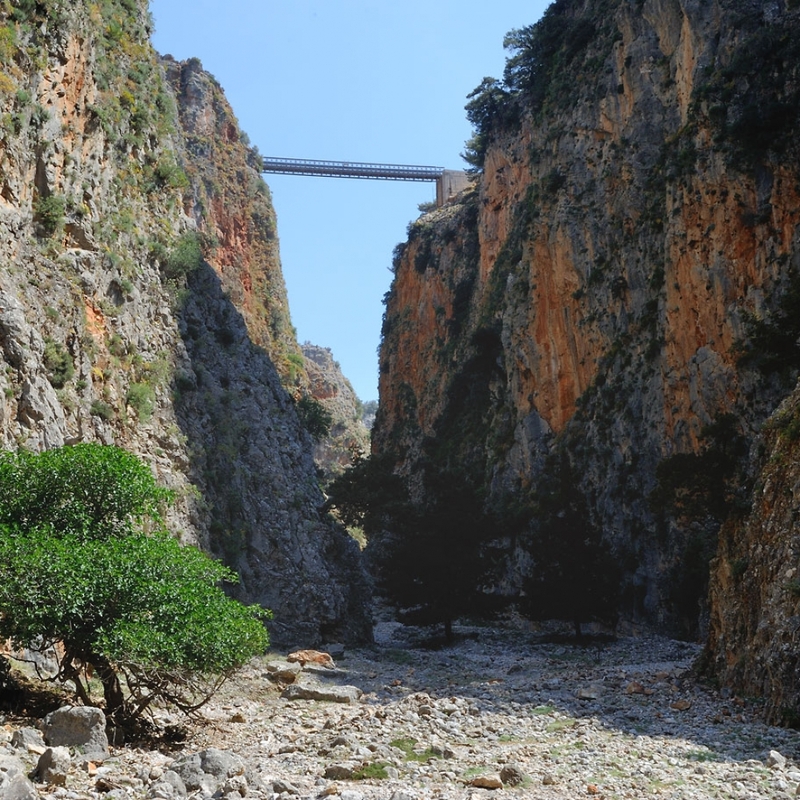 Aradena Gorge is one of the most beautiful and the most interesting gorges on our island. It is situated at the south side of the White Mountains, close to the Libyan Sea, in the region of Sfakia. The gorge owes its name to the ancient city of Aradin or Iradin, which was probably founded by the Phoenicians. After an interesting bus ride through the mountains we reach the picturesque village of Chora Sfakion, where we stay for a coffee-breakfast break. Taking our coach again we continue to the ruined Aradena village and, at the same time, to the entrance of the gorge. traditional lunch and a refreshing swim in the crystal-clear waters. We continue by taking a boat. Sailing east, along the jagged and wild South Coast we reach the charming village of Loutro. There we stay for a nice coffee-break or for one more enjoyable swim. Afterwards we take our boat again, sail to the village of Chora Sfakion, where our coach is waiting, to take us back home.